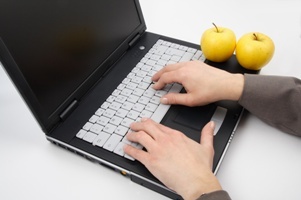 Need more healthy eating websites for additional information, or a different point of view? Here are some of the Healthy Diet Mom’s favorites. Have a site you would like to add? Let me know! She strongly believes that we each have the power to affect change in our bodies. We just need the right tools to do so. Since food is the fuel that powers us, we need to understand that providing our bodies with the best fuel possible, in addition to making positive lifestyle choices, will allow us to have more energy and ultimately more wellness. Geri appreciates that each client is a unique person with individual needs and bodily makeup. With that in mind, she offers personalized counseling to help you successfully achieve your wellness goals. She will look at your nutritional deficiencies and lifestyle choices and teach you how your food choices will help you attain your goals. Work with Geri and she will assess whether any food sensitivities, intolerances or allergies need to be addressed in your overall wellness plan. Check it out! I am a big, big fan of the Better Eating Coach! A holistic pediatrician and a holistic health counselor bring you 10 steps to feeding your children real food. This easy to view and follow website has lots of great information. Nutritionist Resource provides a huge nutrition support network, enabling visitors to find a nutritionist close to them and appropriate for their needs. Food containers that are made of non toxic, food safe polypropylene. BPA, PVC, and phthalate free. They passed the FDA product safety test and they work GREAT! Check out our product review. Next ArticleAre Your Nonstick Pans Safe?